What are our ticket types? What is included in my entry ticket at The Edinburgh Dungeon? What is the Premium Peasant Ticket? Do you offer a family rate for The Edinburgh Dungeon? 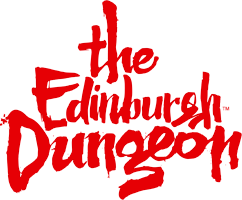 Do you offer Gift Vouchers for The Edinburgh Dungeon? Included in all of our entry tickets is access to our 11 actor led shows and 2 underground rides. We advise all our guests to pre-book their tickets online to save disappointment. When purchasing online you will have a choice of tickets – Standard Ticket - our most popular and economical ticket where you select your entry time, the Ultimate Ticket which includes a complimentary souvenir guide and photo or the Flexi Ticket which allows flexible entry and use of the fast track queue line. To pre-book online please click here.